Red Cross Concert – tickets available! 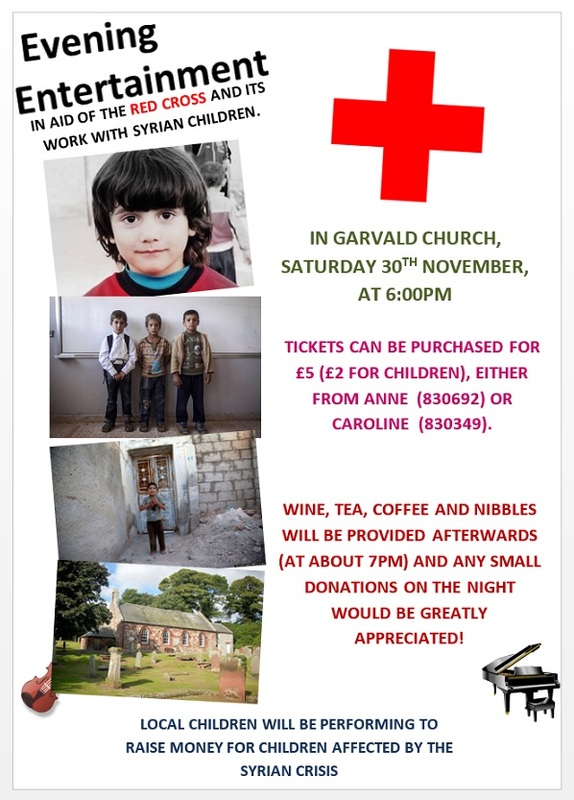 A reminder that the children of Garvald are organising a concert to raise money for the Red Cross, at Garvald Church on Saturday 30th November at 6.00pm, with drinks and nibbles in The Stables afterwards. Any cash donations are most welcome if you are unable to make it to the concert – please deliver to Anne Raitt at Honeysuckle Cottage. This entry was posted in Events, Fundraisers on November 25, 2013 by Admin.